Water Based. Clear. Shampoo to remove. Conditioning & Strengthening formula. Chamomile, Lavender, Rosemary, Yucca Vera & Panthenol. Firm/Flexible/Medium Shine. Item # C-6285 — 1.7 oz. Item # C-6286 — 4 oz. 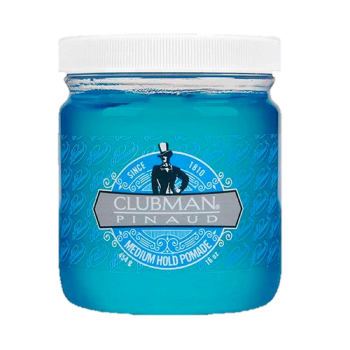 Choose Pomade size: 1.7 oz. 4 oz.